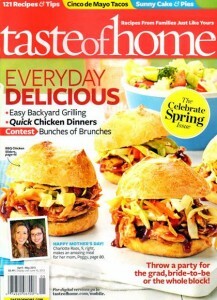 Taste of Home Magazine is a must-have for those looking for simple, affordable recipes made with everyday ingredients. If finding new tasty family favorites on a budget is high on your agenda, look no further. Each bi-monthly issue offers up cost-saving tips an in-depth guides for easy new recipes. 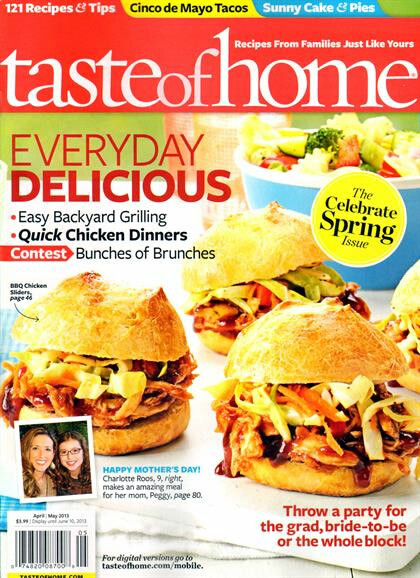 Taste of Home also provides high-quality photos of each recipe featured, leaving nothing to chance for the next kitchen adventure. This is the perfect home cooking magazine. My family and I have been eating recipes from Taste of Home for almost a decade now! I’ve never had a complaint, so it has to be good!